If you are in need of a trustworthy auto mechanic near Tortolita, we hope you choose our local repair shop! Here's some information about us. Who? D & D Automotive - We are Tortolita's leading choice in auto repair. Our staff is well-trained with the goal of consistent and great customer service. When? Schedule an appointment now by contacting us online or calling 520-296-7705. Don't let your vehicle go unattended. Thank you for considering D & D Automotive! The service is always swift and dependable and the staff are great to deal with. I recommend them highly. After spending $2k at a different shop trying to get the check engine light off on my 2001 Ram, D&D had the problem solved in less than an hour. I highly recommend this shop and will be returning to them for all of my vehicle repairs from now on. D & D are the only place I trust to work on my cars! They have always been prompt,courteous and fair priced. I give them the highest recommendation possible! I have been using D&D for about one year now and couldn't be happier, They charge a fair price and stand behind there work, I can honestly recommend them to anyone that needs work on there car or truck, My wife felt very comfortable as did my mother-in-law when dealing with them alone. My point is they treat woman well, As many places talk down to woman. So feel safe using them, they are honest and friendly. honest! that is the best way to describe them. I love that they are dependable and easy to set up appointments. Highly recommend. I've been very happy with the work that D& D auto has done on our cars. They are honest and reliable. When I had a vehicle that would cost more to repair than the car was worth, they told me that instead of trying to just get more work for themselves. They have reasonable prices & work on your car when your appointment is scheduled. I bring all my vehicles to D&D Automotive ! We have had stellar work and customer service every time . 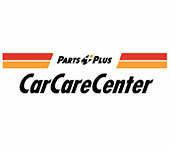 From oil changes to Ac repair we have all of our vehicle needs met here . We get VIP service every time and we will alway recommend their service . They were honest and had all the equipment to do what I needed done and didn't try to up sale me even though I told them there was electrical issues I gotta fix. I would definitely recommend plus its not half done work like most other shops in tucson.